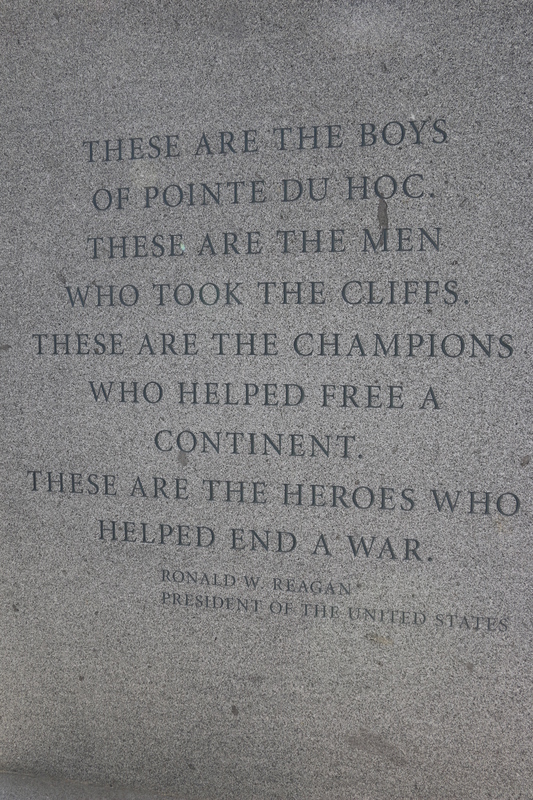 President Reagan’s words inscribed in the memorials at Pointe du Hoc. As we honor our veterans today for their many sacrifices for our liberty, we are reminded of one of the great storytellers of modern times and his ability to capture one of history’s greatest moments, the taking of Pointe du Hoc during the Battle of Normandy. 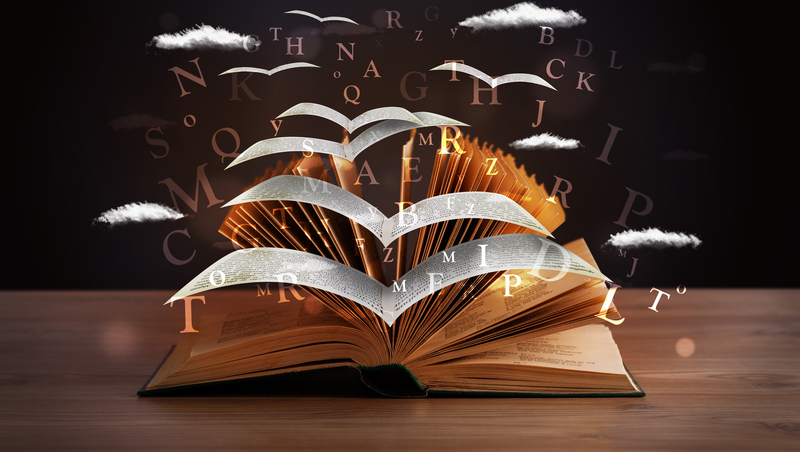 Whether you liked his politics or not, you must acknowledge that the late President Ronald Reagan could capture the imagination and inspire the public through his storytelling skills, his masterful delivery and his sense of the moment. The words he used to retell the story of Pointe du Hoc on the 40th anniversary of the Battle of Normandy in 1984 were poetry. His delivery – with the aging “boys of Pointe du Hoc…the men who took the cliffs” seated before him – is etched in our memories. His speech is preserved in plaques at the memorial and in videos, such as this one. President Reagan, of course, had the advantage of years of training as an actor. But watching him and listening to the words of this speech honoring the sacrifices of our veterans are good reminders of how powerful storytelling and presentation can inspire and influence us all.